That’s the plot of Max Allan Collins’ Robber’s Roost, a Batman story collected in The Further Adventures of Batman Volume 2: Featuring the Penguin. The Penguin seems like an odd choice to get his own volume of stories. He’s one of the more preposterous villains, a gentleman thief whose shtick is umbrellas and an obsession with birds. Which isn’t to say anything against the Penguin; he’s just one of the hardest villains to treat realistically, which seems to be what stories in these books try to do. Luckily, Max Allan Collins succeeds brilliantly. He manages to make the Penguin a perfectly realistic, yet threatening, figure. 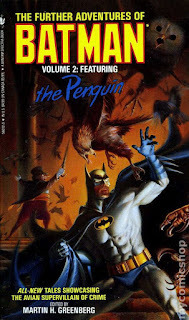 His obsession with umbrellas and birds are part of an odd homicidal streak, and when Batman sees the Penguin meet up with two thugs, the game is officially on. Considered purely as a Batman story, this story is absolutely brilliant. 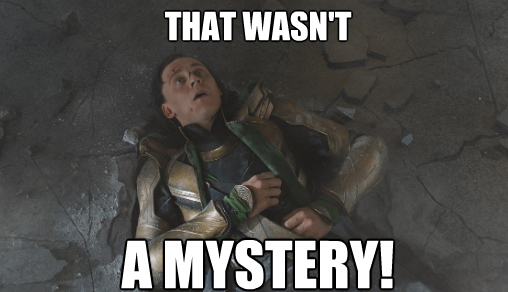 But as Loki here can tell you, considered as a mystery this story would flop. 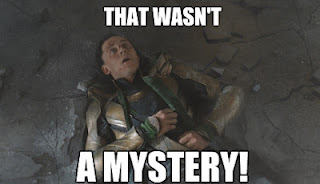 This is because the great reveal, the Penguin’s crime, is literally pulled out from nowhere. No clues build up to it whatsoever. It’s a brilliant idea for a crime and the Penguin’s motives make perfect sense, but they aren’t fairly clued. From time to time, however, it really doesn’t matter whether a story plays fair with clues or not. This is one of those times, and the story at least has the decency to not pretend it’s going to play fair. I really liked the plot, which is both exciting and makes perfect sense. Why doesn’t the Penguin take off Batman’s mask when he has the chance? Why does he leave Batman’s utility belt on? These basic mistakes that villains often make (sometimes to an infuriating degree) are explained, which is really a refreshing change. And that brings me to the third thing I really liked about this story: the writing. I absolutely loved it. I liked the little turns of phrase used to describe Batman or the Penguin. One touch I particularly enjoyed was the description of a man falling down “like a three-legged card table”. The writing here does an excellent job at fleshing out the characters, their motives, and the general atmosphere of the story. So although Robber’s Roost isn’t a mystery, it’s a helluva Batman story; probably the best I’ve read thus far in this series. It’s an excellent adventure and It quite simply does everything right. Fans of the Caped Crusader will definitely enjoy it.